Puclic Security Minister demands action after video shows Bedouin firing automatic weapons out of moving vehicles. 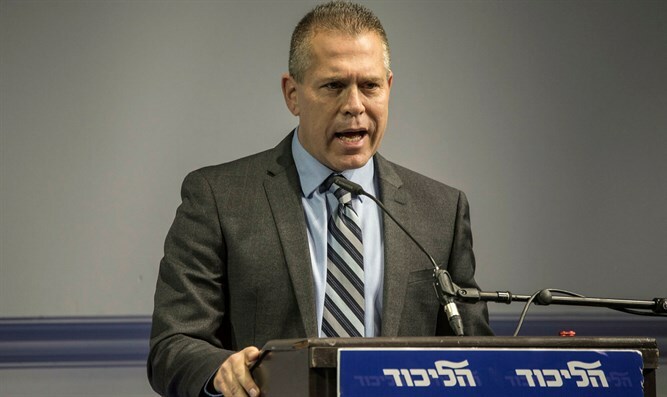 Public Security Minister Gilad Erdan responded Sunday afternoon to a video posted on social media showing Bedouin Arabs firing automatic weapons out of the windows of moving vehicles on a Negev highway. "The actions that were documented on the roads in the south are very serious and we cannot in any way ignore them," Erdan said. "I expect the police to act immediately to locate and arrest the shooters who have been documented. They are acting as savage bullies and are carrying out wild and life-threatening shooting, and the struggle against illegal weapons is at the top of the Public Security Ministry's priorities." Local council heads in the south were outraged following the publication of the video. The council heads blamed the police, who they accuse of doing nothing to combat the lawless of the Bedouin on the southern roads. "The video we are witnessing is the result of the ridiculous punishment of the Israeli courts," Pini Badash, head of the Omer Regional Council, told News 2. "Only a tougher punishment regime will help curb the dangerous phenomenon we see every day on the roads of the Negev. We ask the he Israel Police and the GSS to act immediately to stop these criminals and locate the stolen weapons which are found in the wild."